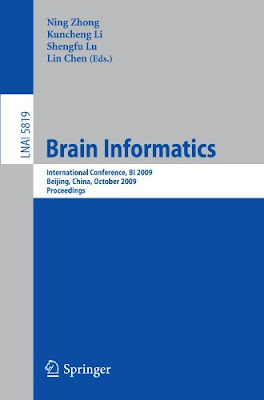 This book constitutes the refereed proceedings of the International Conference on Brain Informatics, BI 2009, held in Beijing, China, in October 2009. The 21 revised full-length papers presented together with the abstracts of 6 keynote lectures and 5 papers from a special session were carefully reviewed and selected for inclusion in the book. The papers are organized in topical sections on information processing meets brain sciences, thinking and perception-centric investigations of human information processing systems, information technologies for the management and use of brain data, as well as cognition-inspired applications.